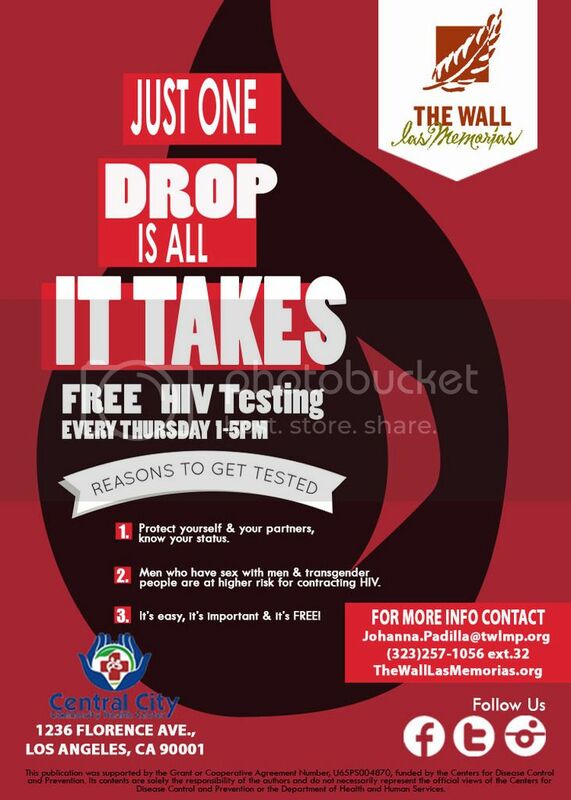 Know Your Status: The Wall Las Memorias offers free & confidential, rapid HIV test at its Central Cities off-site testing location-- find us at 1236 Florence Ave., Los Angeles, CA 9001. Appointments are available upon request. Walk-in's welcomed from 11:00 AM to 5:00 PM.